Dr. Brock joined Children’s and Emory as an Assistant Professor of Pediatrics. She is Director of the Aflac Cancer Center Supportive Care Clinic and also attends on the pediatric advanced care team. She came to Georgia from Boston, Mass., where she completed a fellowship in pediatric palliative medicine at Boston Children’s Hospital/Dana-Farber Cancer Institute. 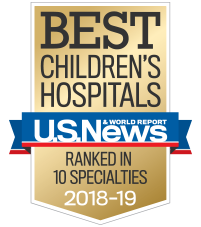 Dr. Brock earned her medical degree from Northwestern University in Chicago, Illi., followed by residency training in pediatrics at the University of Colorado and a pediatric hematology/oncology fellowship at Stanford University. While at Stanford, she also completed a master’s in epidemiology and clinical research, as well as a fellowship in medical education. She is currently the Co-Director of the Pediatric Fellowship Communication Series. Dr. Brock has broad experience and interests in the field of pediatric oncology, and pediatric palliative and supportive care. She focuses on improving patient-parent-provider communication, understanding family values, achieving patient’s goals, assisting in medical decision making, coordinating care with community agencies, and improving quality of life through relieving physical, emotional, and spiritual suffering. Dr. Brock works on research in these areas and trains other physicians in effective communication strategies. Dr. Brock loves what she does and feels privileged to care for patients and families during their journey with a serious illness. She understands this comes with many hopes and worries, and her goal is to help each day be as good as possible. She works hard to understand who each child and family is so that she can provide the highest level of care. In her spare time, you will find Dr. Brock traveling, doing yoga, hiking, eating out or cheering on her favorite sports teams.